Does antidepressant use by fathers affect birth outcomes of children? Antidepressant use in women during pregnancy and its effects on child outcomes have been well-studied; however the same cannot be said for fathers. A recent study investigated whether paternal antidepressant use during the conception period is associated with negative health outcomes in children. Depression is a very common medical illness affecting populations worldwide. As a result, the rates of antidepressant prescriptions are also on the rise. There has been a lot of research studying the effects of antidepressant use by women during pregnancy on their children and their outcomes; however, there has been very little research on the paternal use of antidepressants. Laboratory studies have demonstrated that antidepressants can affect sperm. They can potentially cause the destruction of sperm, reduction of sperm concentrations or movement, alter the physical structure of sperm and increase its DNA damage. Since there have only been a few small studies and cases looking at the effects of antidepressants on sperm, there is some interest on birth outcomes in those born to fathers who were exposed to antidepressants during conception. An observational prospective cohort study was done by a group of researchers in Sweden, who published their results in The BMJ. 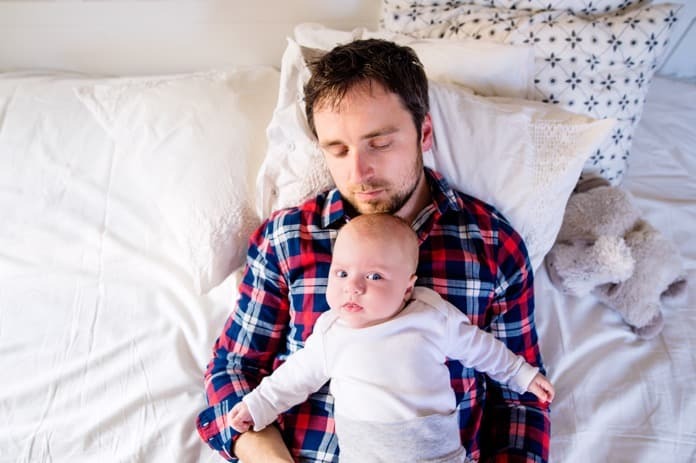 The researchers investigated the association of antidepressant use by fathers at conception and the birth outcomes of their children, specifically preterm birth, malformations, autism disorder and intellectual disability. Fathers who had antidepressant exposure during the period of conception (defined as four weeks prior to being conceived and the four weeks after). Fathers who had antidepressant exposure during the pregnancy only (i.e. they started an antidepressant four weeks after conception). Father who had no antidepressant exposure during the conception period of pregnancy. The researchers also adjusted for factors that could influence the accuracy of their results, such as the parents’ ages at conception, the parents’ history of mental health, the mother’s use of antidepressants, and socioeconomic status. The study found that there was no association between antidepressant use during the conception period and any of the birth outcomes when comparing fathers with antidepressant exposure during conception and fathers without any antidepressant exposure. Similarly, this was the result when comparing to paternal antidepressant exposure starting after conception and during pregnancy. The analysis also found that antidepressant exposure during conception had a decreased risk of intellectual disability whereas exposure after conception and during pregnancy had an increased risk of intellectual disability. The researchers propose this observation could indicate that having a mental illness could be a risk factor for intellectual disability in their child as opposed to exposure to the antidepressant itself. The study’s findings are consistent with results of previous studies on prevalence rates of birth outcomes, such as autism and intellectual disability. The large population size included in the study and the availability of exposure and outcome data allow the results to be relatively generalizability. However, the researchers note that there could still be variations in generalizability to populations outside of Sweden, due to differences in genetic makeup and cultural upbringing. Overall, the study suggests that antidepressant use by fathers during the conception period is not causally associated with an increased risk of negative birth outcomes. This information may help with antidepressant treatment decisions during family planning. However, since there is very limited data on this topic, the researchers express the crucial need for further studies to confirm these results.